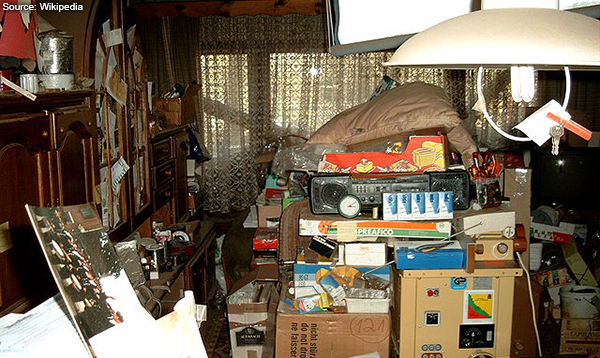 Hoarding is understood as a mental disorder that may be a symptom of a larger, more complex anxiety disorder. Those who struggle with hoarding often feel like they have little to no control in their lives and hoarding is a manifestation of them trying to gain an element of control. Because of the complex mental issues involved with hoarding, hoarders must be approached carefully with open communication to earn their trust before beginning the cleaning process. The lack of control felt by hoarders makes cleaning their homes a sensitive situation and earning their respect through compassion and communication is the best way to ensure a successful cleanup. One of the challenges in cleaning the home of a hoarder is getting the individual to understand the true value of the items they are hoarding. Those that hoard tend to think there is some monetary value to the items they are saving but this is usually not the case. Try politely explaining to the individual that the items do not actually hold any real monetary value and then ask the person if he or she would like to donate these items. That gives some feeling of control back to the individual as he or she can now decide the fate of the objects that will not be kept. Because of the complex mental issues involved with hoarding, hoarders must be approached carefully with open communication to earn their trust before beginning the cleaning process. As mentioned earlier, hoarding is likely a manifestation of more complex anxiety disorders and can be triggered by a traumatic emotional event such as the death of a loved one. Many hoarding experts such as Matt Paxton, host of the popular TV show, Hoarders, believe that therapy is necessary to help the cleaning process go smoothly. According to Paxton, cleaning out the home of a hoarder without therapy is the same as throwing away the beer of an alcoholic without any other help. 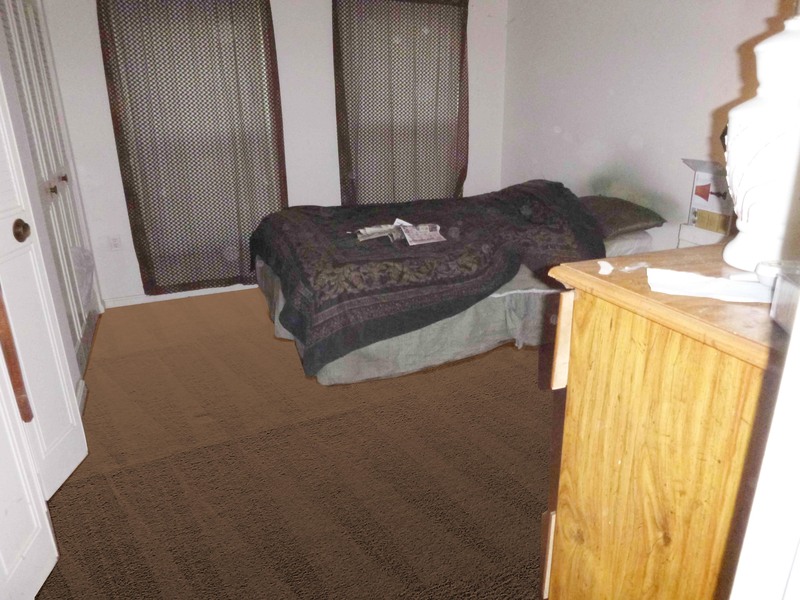 The therapy is important to helping the individual deal with the root causes of their hoarding which can help prevent these behaviors from returning after the home has been cleaned. Do not clean the home of a hoarder without their knowledge. This takes away all control from the individual and undermines their trust. Do not make any sort of threats to coerce them to cooperate such as cutting off contact with them if they do not clean out their home because this again takes away any feeling of control. Do not make any negative comments towards or about the individual affected. The key is to show compassion for the individual to earn his or her trust and respect. When first confronting them about cleaning their homes, take them out for lunch or coffee to begin the conversation. Let the individual know that you are concerned for their health and safety and that you want to help them improve their living conditions. Help enroll the individual into therapy before even trying to enter their home. When the individual is ready, call a professional such as ServiceMaster NCR for hoarding cleaning services. Hoarding is a complicated situation and this disorder can have serious implications for those affected. The hoard of collected items can grow large enough to block access to parts of the home and it can also harbor vermin and harmful mold and bacteria, contributing to unsanitary living conditions. It is important to help a hoarder begin the cleaning process before the living conditions in their home gets too dangerous. For the project to be successful, they must be approached properly with compassion and respect.. 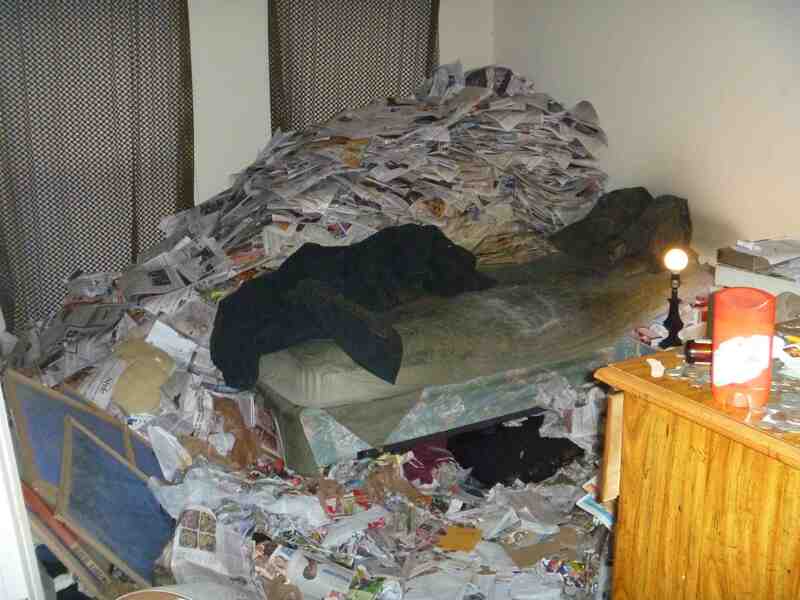 If you have a tenant, friend or family member that struggles with hoarding issues and is ready to clean out their homes, contact ServiceMaster NCR for professional hoarding cleaning services.